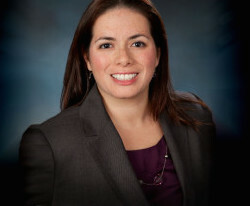 Cramer & Anderson Immigration Attorney Lisa Rivas, a 2016 Connecticut Law Tribune New Leader in the Law, is among the lawyers expressing concern about President Donald J. Trump’s decision to rescind the DACA program (Deferred Action for Childhood Arrivals) for undocumented immigrants who were brought to the U.S. as children. Estimated to total 800,000, DACA recipients are known as “Dreamers,” a name originating with the Congressional DREAM Act (Development, Relief, and Education for Alien Minors Act), which was never adopted. 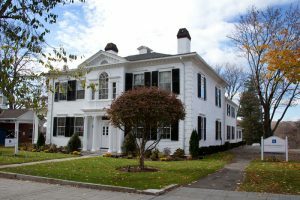 “This is affecting a large group of people, in various stages of their lives, some who have families now and can provide for their children because of DACA,” Attorney Rivas told The News-Times of Danbury, which noted that she has DACA recipient clients ranging in age from teenagers to adults in their early 30s. Individuals who currently have DACA will be allowed to retain both DACA and their work authorizations (EADs) until they expire. Properly filed initial requests for DACA and associated applications for employment authorization documents (EADs) that were received as of September 5, 2017. Properly filed DACA renewal requests and associated applications for EADs for current beneficiaries that were received as of September 5, 2017, and from current beneficiaries whose benefits will expire between September 5, 2017 and March 5, 2018. Individuals whose DACA status is set to expire on or before March 5, 2018 must apply to renew DACA and their EADs by October 5, 2017, Attorney Rivas noted. She may be contacted by anyone with concerns and questions about the implications of DACA elimination, including the possibility of other, more lasting forms of relief, and questions about EADs. In May of this year, Attorney Rivas received the Pro Bono Award during Law Day in events in Danbury for providing free legal assistance and teaching citizenship classes to members of Connecticut’s immigrant community. As a Hispanic Center of Greater Danbury, Inc. volunteer for more than five years, Attorney Rivas teaches a citizenship course she made so popular it went from being offered once a year to four times annually. She teaches two of those four classes herself. To honor Attorney Rivas’ volunteer work, the Hispanic Center gave her its Above and Beyond Award at a Citizens Recognition Breakfast in June 2016.